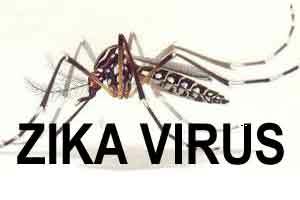 NEW DELHI: A team of ophthalmologists has found previously unreported eye problems in infants born to mothers who showed signs of Zika virus infection during pregnancy. The researchers from Brazil and Stanford University observed unreported eye problems like retinal lesions, haemorrhaging and abnormal blood vessel development in three Brazilian infants with microcephaly — a birth defect marked by smaller head and brain size caused by Zika virus. Besides these observations, the infants in this study published in the journal Ophthalmology also exhibited other ocular symptoms noted in a previous study. Specifically, all three babies in this case study showed signs of pigmentary maculopathy — lesions that appear as speckles of pigment on the macula. Four eyes had symptoms of chorioretinal atrophy marked by a darkly pigmented ring. The researchers noted that it remains unclear whether the viral infection itself causes eye abnormalities or if they are a consequence of Zika-induced microcephaly. “To my knowledge, the eye problems we found have not been associated with Zika virus before,” said Darius Moshfeghi, senior study author from Stanford University. “The next step is to differentiate what findings are related to the Zika virus itself versus microcephaly caused by the virus in order to better understand which infants will need screening,” the author added. In Brazil, the site of the most serious outbreak, nearly 1.5 million people reportedly have the virus. Some 4,000 infants were recently born with microcephaly, according to reports.